The detection threshold of static indentation stimuli on the palm of the hand is approximately 10 to 40 micrometers, dependent on the exact location under investigation. The sensitivity of a sensory system can be expressed as the detection threshold. This threshold is in psychophysics generally defined as that stimulus level where, on average, 50% of the stimuli are felt. The question specifically targets detection thresholds of indentation stimuli. These stimuli are typically expressed as distance units (meters) or pressure units (Newtons). 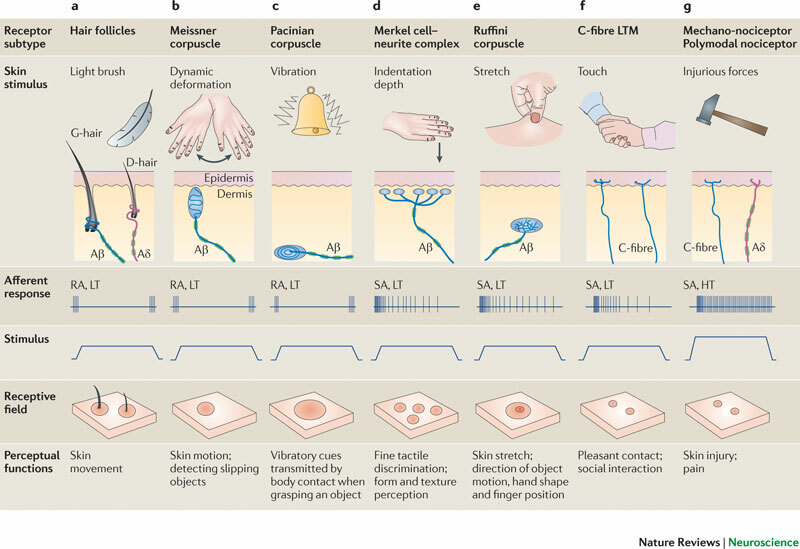 The skin indentation under constant force is dependent on the area of contact, skin type and other parameters of lesser importance. Hence, indentation units using distance metrics may be the most appropriate way of expressing static detection thresholds. 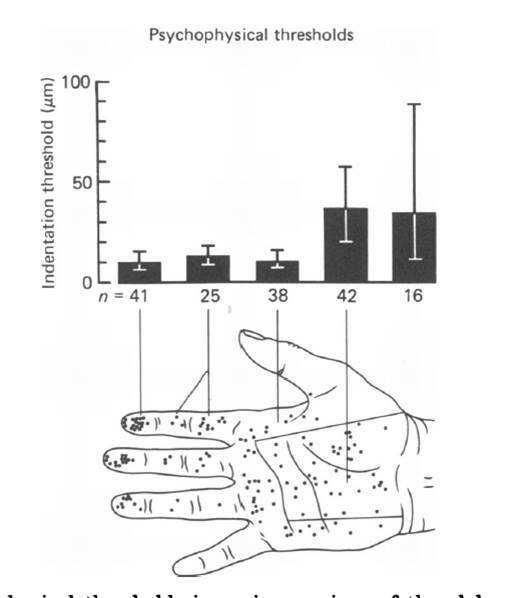 Johansson & Valbo (1970) investigated static detection thresholds on the palm of the hand (Fig. 1) and found average thresholds of 10 to 40 micrometers indentation. This variation was due to geographical differences; towards the fingers sensitivity is higher and thresholds are hence lower (Fig. 2). Not the answer you're looking for? Browse other questions tagged sensation perception touch psychophysics or ask your own question. Why Do Nerve Signals Get Crossed?